Did you know there are two types of citrus juice? Oranges, grapefruits, lemons, limes, and tangerines, they are all citrus fruits, and due to the unique properties of the fruit generally require a special juicer to extract the juice from the fruit. This article will explain the various ways to extract the juice from citrus fruit. After you have read this article, you will hopefully know the difference between the various extraction methods and which method would best meet your needs. 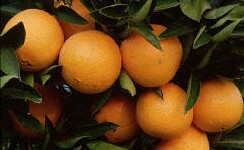 First, we will explain the citrus fruit, there are several parts to the fruit. First you have the outer skin, this skin can be yellow, green, orange, red, pink or a variation thereof. Next after the outer skin, you have the pith, which is the white colored part of the fruit, this can be either very thick, as on most grapefruits, or very thin, as with many tangerines. The next part is the actual fruit segments, that may contain seeds. 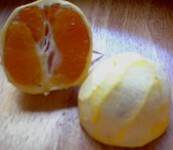 The problem comes when juicing citrus fruit- since not all citrus fruit is created equal. Lemons and limes have edible skin, while grapefruit, orange and tangerine(the coloring) skin contain chemicals that are NOT digestible by the human digestive system. In my opinion, there are two kinds of citrus juice lets call them: citrus water, and total citrus juice. Second, we will break down the different appliances that can be used to make citrus water, and total juice. 1. No appliance - You can cut the citrus in half, and squeeze the juice into a cup- this tends to be very messy, and the yield may not be that good compared to the other methods. (You can also use a manual citrus juicer - made of glass. metal or plastic) 2. Electric Reamer - Using a tool to ream out the juice, the Waring Professional Citrus juicer is an example. This method is generally produces more juice than using no appliance. 3. Press - A citrus press literally crushes the juice out of the fruit. It is generally most effective for producing citrus water. It requires no electricity and generally has only a few parts to clean. To make "total citrus juice", the outer skin (the coloring) is generally removed (In the case of lemons and limes, the outer skin may be kept on) The fruit is then put into a fruit and vegetable juicer, and the juice comes out one side of the juicer. The pulp is expelled from the machine from a different point. Some examples of this type of machine are the centrifugal (without citrus attachment), Centrifugal Ejection, Masticating, Single Auger or Twin Gear style juicers. As you can see from the chart above, the nutrient quality is highest when you make a total juice, although pressing the juice generally results in the highest yield and easiest cleanup. We hope this article educated you about the various types of citrus juice and the type appliance that will best suit your needs, so that you too can enjoy delicious citrus juice! See our selection of dedicated citrus (water) juicers here. See our selection of juicers that will make "total citrus juice" here.